the soccer mania and patriotism is, somewhat, finally over with the loss in the semifinals. my eardrums are saved, thank goodness, and the streets have somehow resumed its routine activities. the loss that night was a deafening quiet. think the locals took quite a blow to their spirits when the win did not happen. no offence to them, but truth be told, not that me really cared seriously. in any case, the national soccer team was given the heroes' welcome, though it is a little hard for me understand why there is even a necessity for that. it has taken quite awhile for things to get back to some semblance of normalcy with how everything has been going on. perhaps there is just that tinge of an aftermath of post traumatic stress to an extent. it has been, well, to put it in a simple word, rough. 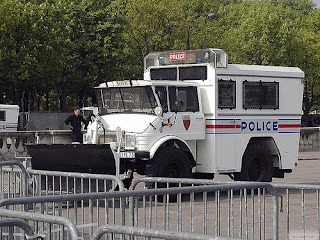 after all, it is not everyday that you see police stationed everywhere with riot trucks in position, on the very streets that you take to walk to school, on the news. with danger all abound, little wonder why this dodo has taken to living like a hermit crab. better to be safe than sorry indeed. it is all a little too real for comfort. other times, you actually come to wonder if it is even real. the surprising thing of it all, is that there is not really any trace of fear per se with how safety has become an actual issue, but rather, just a strange inexplicable wave of fatigue. as a result, have been a tad more ill than usual and it ain't hard to trip over my own two feet just getting up from sleep, or a sitting position for the matter. my good buddy bronchitis has come back for a visit, and sleep has decided to be elusive and an awful pain once again, so guess that means to say the wonderful insomnia is back to stay too. in all honesty, do not really mind that all that much really since there are times where my thoughts run along the line of sleep is actually redundant. the "adventure" and happenings in the last couple of months are probably enough to last and fill up the missing action bits for the two years that have been here. frankly, these are not events that need a repeat reoccurance. guess that is just the price of independence.